Dine at London’s New Rooftop Supper Club on the South Bank. Temperatures are positively sizzling in Britain and so is London’s iconic Southbank Centre where things are hotting up in the kitchen. From 24th July – 8th September, it will up its culinary game by playing host to a very special rooftop supper club. If you’re a die-hard MasterChef fan or you’re looking for a fun-filled foodie night out with friends and family, this is one of the best tasting experiences on offer in London this summer. Tickets are limited so get your skates on if you don’t want to miss out. Where is The Jam Shed Supper Club? London’s new rooftop supper club is located at St Paul’s Pavilion on the top floor of the Royal Festival Hall. Dine up on the roof with friends and family and enjoy spectacular views of the River Thames and skyline views of London’s landmarks, including the magnificent St Paul’s Cathedral. Kick off the evening on the outdoor terrace with a cocktail before sitting down at communal tables to feast on sharing dishes and small plates bursting with the flavours of a British summer. Who is Doing the Cooking? There’s an exciting line-up of six MasterChef finalists. Familiar faces include pilot, David Crichton, and Thai-born PHD student, Nawamin Pinpathomrat, both finalists in this year’s show. You may remember Nawamin’s profiteroles filled with spicy peanut and topped with white chocolate sauce which so impressed the judges or David’s delectable apple crumble millefeuille. When is Each MasterChef Finalist Hosting a Supper Club? The Supper Club will be showcasing the fruit-filled flavours of Jam Shed Shiraz, along with a selection of other drinks. Jam Shed is a medium-bodied Australian Shiraz produced in New South Wales. It’s a red wine that’s ideal for summer dining as it’s best served slightly chilled. It makes a great accompaniment to a juicy steak cooked on the barbecue or Italian food. Supper Club diners will be supporting The Springboard Charity. The charity brings disadvantaged and underprivileged people into sustainable employment within the hospitality, leisure and tourism industry. The Springboard Charity trainees will be working with the MasterChef finalists in both the kitchen and at front of house to learn essential new skills. 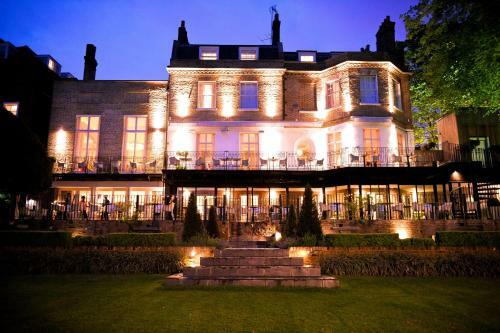 A 15-minute walk from Richmond Tube Station,the Bingham features luxurious rooms, some overlooking the River Thames.